Love Garden Parties? 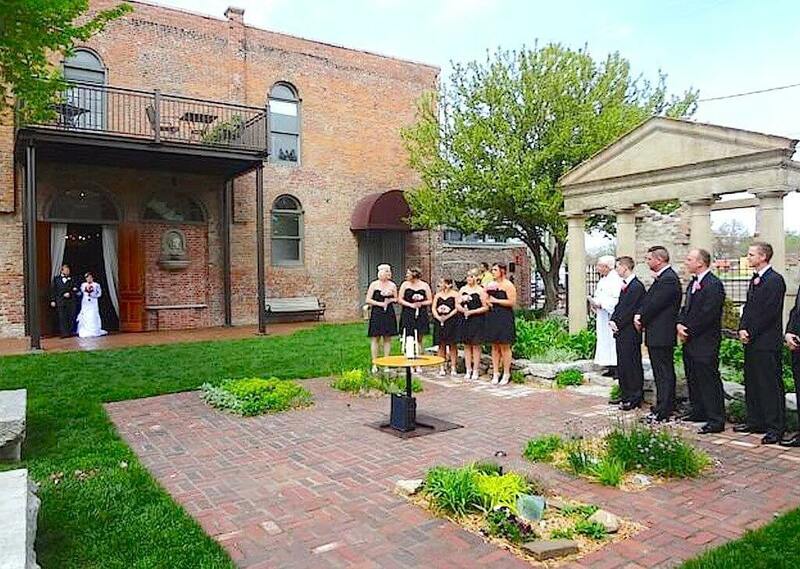 Our 6,000 square foot garden is perfect for outdoor weddings or just visiting with old friends under the Liberty Elm or other smaller trees in more intimate areas. The lush landscape features blooming flowers and shrubs all year round; Paul takes great pride in sharing his green thumb’s creation…a beautiful, peaceful oasis in the center of this historic urban environment. Paul has crafted the perfect environment for a dramatic entrance by a bride soon to be joined by her new husband. Slowly, she emerges from inside, framed by a 10′ tall set of Spanish Cedar double doors, under a massive structural steel veranda…this is when the handkerchiefs come out!